You can put all sorts of thought into the ‘big’ Christmas gift but have you noticed that it’s invariably the stocking stuffers that grab all the attention on the day?! We’ve rounded up stocking stuffers that are fun, stylish and will be sure-fire winners this Christmas. He’s retro, he’s Swedish and therefore he’s what every Babyologist needs. He’s Norsu Elephant. 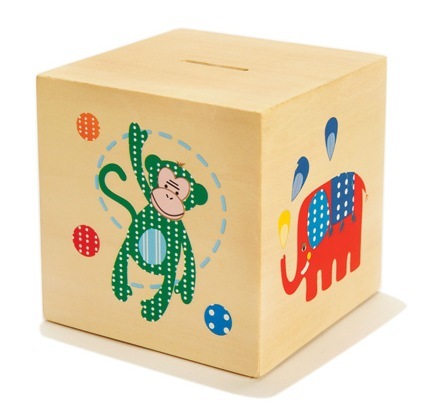 Originally designed in the seventies, the Norsu Elephant money box was given to children when opening a savings account to encourage them to save. Norsu is so cool he’d make a great decor piece as well. Available in four colours from Cheese & Pickles for $14.95. Just because it’s bedtime, it doesn’t mean we’re all ready to turn the lights off! 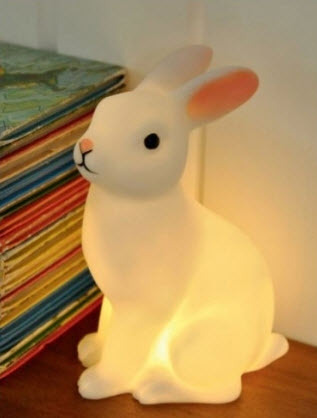 Leave them on a little longer with a gorgeous Rabbit Night Light that provides a gentle glow for the nursery. Best of all, the light uses LED so there is no need for cables. The Rabbit Night Light is available from Millie Abroad for $18. We all know it can be difficult to unwind after a particularly exciting day, especially Christmas Day! But when it’s time to rest, choose Dinosnores. Dinosnores are guided relaxation CDs specially designed for babies and kids. Using stories and visualisation techniques, the soft, soothing narrative and relaxing natural sounds help children slow down at the end of the day. 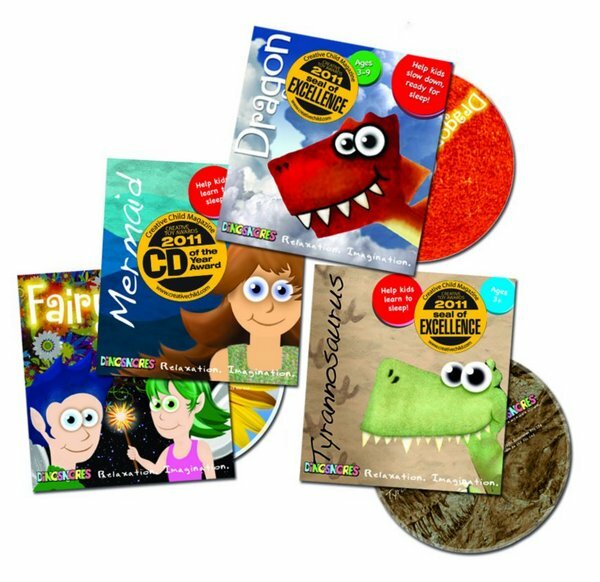 There are nine different Dinosnores CDs available, tailored for different age groups. They’re $20 each and are available from Aussie Bubs. What kid doesn’t love a cardboard box? Take the average cardboard box to the next level with a little imagination and Imaginabox from On the Gro. 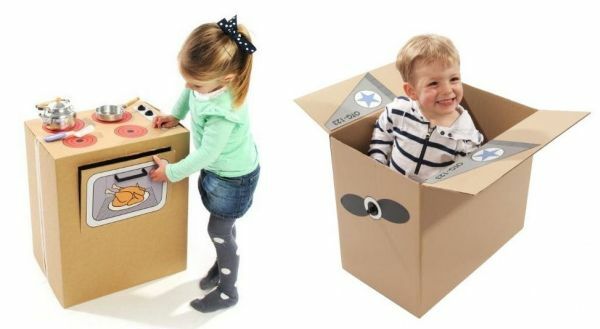 Imaginabox stickers and accessories turn empty cardboard boxes into cars, planes or kitchen stoves. The stickers and moving parts are reusable and simple to assemble, so kids can create over and over again. Imaginabox kits are $19.95 each. Have you got a craft-mad kid? One who uses pipe cleaners, patty pans and pom-poms in ways you never imagined? They need Kiddie Create. 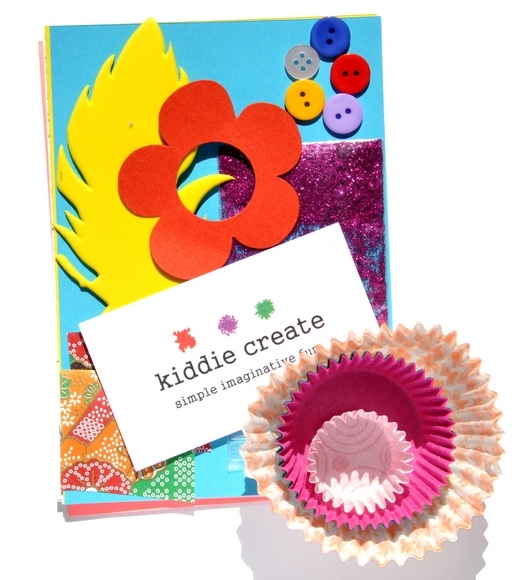 Kiddie Create have terrific little craft packs full of all the bits and bobs needed for their next masterpiece. You can buy a subscription (for crafty little surprises in your letterbox every week!) or individual packs for $9.50 each. For kids that love a little time in front of the mirror, some goodies from Pure Poppet will make the perfect fancy Christmas stocking surprise. Safe for young skin, Pure Poppet natural children’s play makeup is all about dressing up, creating characters, make believe and having fun. The range includes easy-to-use makeup crayons, powders, stencils and lip balms. 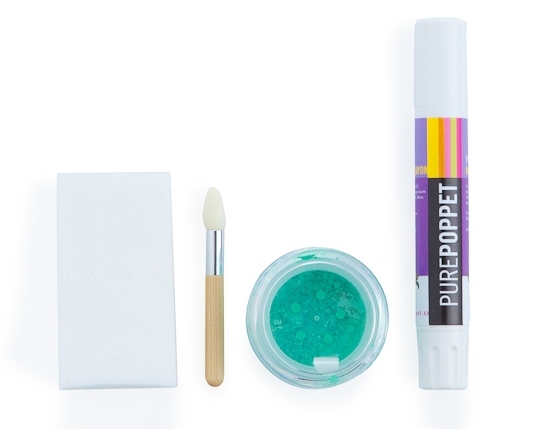 Pure Poppet is available in Christmas stocking-sized packs, priced from $4.95. When you’re too little to wear shoes, wear cute socks! Sweet Ballerina and Baseball socks by Lundmyr of Sweden are the perfect finishing accessory for any of bub’s outfits. The raised rubber printed ‘cutie’ message under the foot provides grip, the shoelaces are all for show. Each style is available in either red or black and in sizes newborn to two years. Find the socks at Billy Lids for $12 a pair. There may be a shift to online banking but little kids love nothing more than adding coins to a money box and watching their fortune grow. From Cocoon Couture comes handcrafted wooden money boxes featuring its signature enchanted forest critters. 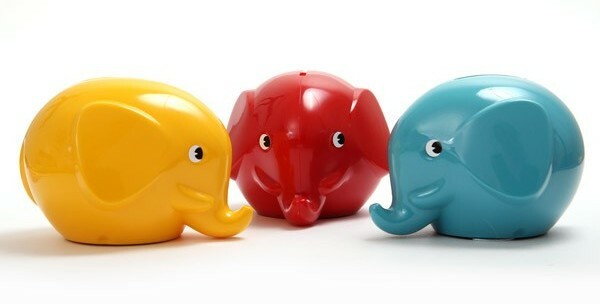 The money boxes are available in two designs and coordinate with the entire Cocoon Couture range. They’re $39.95 each. Be sure to check out all of the Babyology Christmas gift guides for more stocking stuffers and some big-ticket items!